There are test methods to assess the performance of wires/cables in overload conditions. Time/Current to Smoke increases the current until smoke is observed. Smoke resistance increases the current until the conductor reaches a target temperature. Both of these tests provide insights necessary for the next generation of more electric aircraft (MEA). Several things can go wrong when a wire or cable is subjected to an electrical current exceeding its design limitation and none of them are good. These include, but are not limited to, melting of the insulation, smoking, insulation degradation, promotion of intermetallic growth between the plating and conductor, melting of the conductor, melting of the conductor plating, and conductor embrittlement. Thankfully, if the wire/cable is being used within its temperature and current ratings, the wire should experience very little of the above phenomena. Often, it is the wire insulation that is most vulnerable. Smoking of the insulation is one of the most common failure modes and it is hard to identify unless the wire is closely monitored during the event. For this reason, some of the aerospace industry’s high current tests seek to determine the susceptibility and conditions necessary to achieve these hazardous conditions. Tests like the smoke resistance (AS4373 method 513) and Time/Current to Smoke (AS4373 method 507) are just a couple of these tests. One might ask why there are two separate and seemingly similar test methods. One difference comes down to the scope of the standards, another is the specifics and aim of the test methods. Most wires can hold more than 2x their current rating for an extended duration before giving off smoke. In this example, a 8AWG wire hanging free in air is able to carry more than 250A before showing any signs of smoke. The Time/Current to Smoke test increases the electrical current through the sample at given increments (e.g. 5A every 30 seconds) until the wire smokes. The time and current at which the smoking is observed are reported. As a result, this test gives an understanding of the overload conditions at which the wire is known to fail. From an application perspective, this means that the wire should not be used at or in excess of the current level identified in the test. This is a useful factor in EWIS design as it provides a threshold for performance and input on circuit protection selection. The test standard applies to a limited wire gauge range (wire smaller 16 AWG and smaller) and this is most likely due to its specified current level increases. If performed on larger gauge wires, the current step levels can be increased to complete the test in a reasonable time. Over-current conditions will damage conductors and wire insulation. Do not assume that no visual damage means no damage. Smoke resistance is a newer test method made to accommodate larger wire gauges and to certify that the wire will operate at specified conductor temperature limits without generating any smoke. In this test, the wire conductor current is increased slowly until the wire conductor stabilizes at the specified temperature (this temperature is either at the wire’s rated temperature or 30oC higher). The current level is monitored and adjusted so that the wire conductor stays at the specified temperature for 15 minutes. This is a pass/fail test that gives assurance that a wire’s construction will operate effectively at the top of its rated current/temperature range. In addition, the smoke resistance test is applicable to a wider array of wire sizes. This requires greater current sourcing capabilities to run the test on large wire gauges. 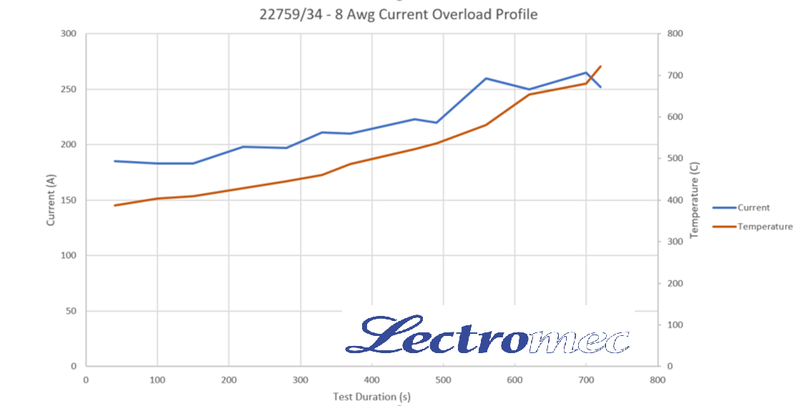 Figure 1 shows the current and temperature profile of a 22759/34-8AWG specimen. For demonstration purposes, the current was increased well passed rated temperature limits. This data shows the worst-case scenarios for gross failure. Properly designed circuitry and circuit protection will cut off power to the circuit long before these types of gross failures occur. The Time/Current to Smoke and Smoke Resistance tests are not tests that exist solely for wire/cable verification but are a critical element in high-performance EWIS design. If the industry is to push the electrical system to design limits and maximize the ampacity of each wire and wire harness, then this information cannot be set aside and forgotten. 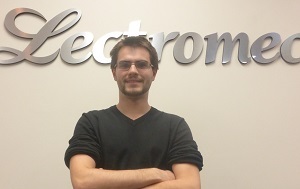 Since starting at Lectromec in early 2015, Tristan has been key in many of test and assessment wire systems assessment projects wire systems assessment. His attention to detail has lead to several key insights in Lectromec’s research initiatives.